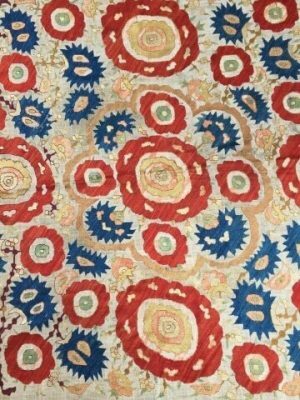 The annual Antique Rug & Textile Show (ARTS) will take place at Motel Capri in San Francisco 21-23 October 2016. To attend the opening reception Friday 21 October 2016 from 2 pm you are advised to register. ARTS is free and open for the public Saturday 22 October 10 am – 7 pm and Sunday 23 October from 10 am – 4 pm. The antique rug and textile exhibitors include Adnan Aydin, Alberto Levi, Anatolian Picker, Andy Lloyd, Armenian Rugs Society ARS, Ben Banayan, DeWitt Mallary, Fazli Solak, Fred Hazin, James Cohen, Jeff Dworsky, John Collins, Mark Berkovich, Mete Mutlu, Michael Clark, Mohammad Zavvar, Nemati Collection, Noah Bolour, Owen Parry, Saeid Aziz Mohammadi, Sam Coad, Sandra Whitman, Seref Ozen and Ulrike Montigel.